Loch Katrine was a popular tourist spot in Victorian times and the steamship SS Sir Walter Scott has been sailing on the loch for over 100 years. The reason a steamship is preferred to a diesel engined one is because of the risk of contaminating the water. 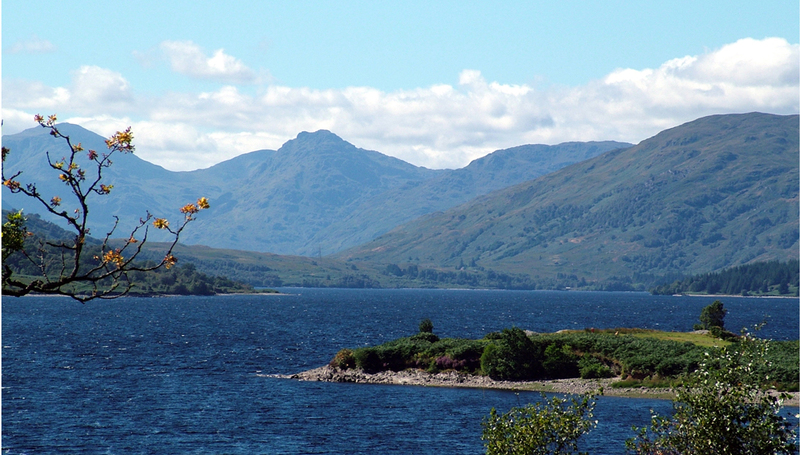 This image shows Brenachoile Point in the right foreground and the peaks in the distance are known as the Arrochar Alps.